If you’ve been around Merriweather world a little while, you will know that there are a few things I am devoted to passing on to you. One of which is the advice to get your own site up and running. (Don’t depend on marketplace sites solely, forever.) The other is that I wholeheartedly recommend you use Shopify to make that happen. 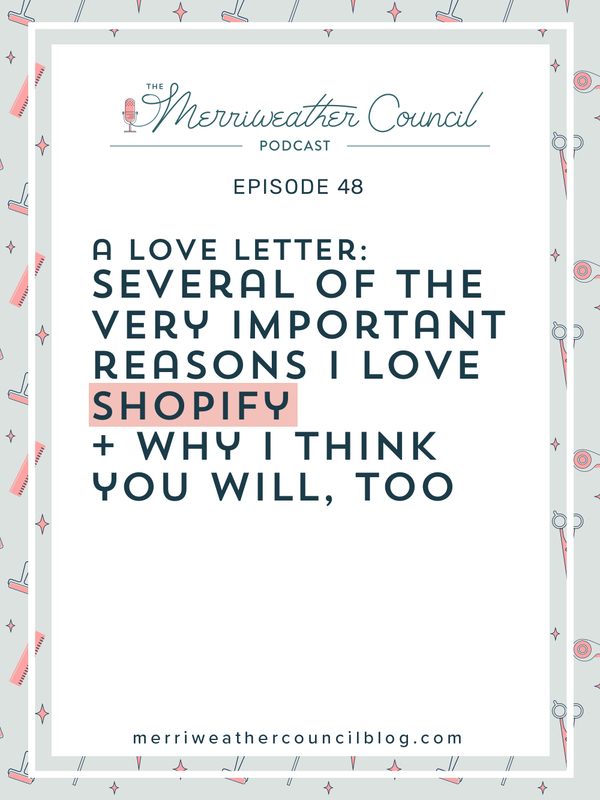 It’s been a while since I spoke about Shopify on the podcast. So today’s episode is dedicated to singing all the praises of this amazing tool. Okay, not actually ALL of them, but several. There are many, and I encourage you to explore Shopify on your own as well. In this episode you will hear some backstory on my experiences with building my own site, things I love about Shopify and about my free Shopify trainer. Oh yes, it’s free and it’s oh so helpful. It will help you move past some of those hurdles that will come up as you set your Shopify shop up. If you’d like to access this free training simply follow these three easy steps. 3 EASY STEPS YOU MUST TAKE TO GET ACCESS TO MY TRAINING, FOR FREE! FIRST you must click here to either start a trial or a Shopify account. This is my affiliate link. In exchange for referring you to Shopify, Shopify gives me a small kickback if you start a plan with them. They offer a free trial so there is no risk to try it out! You can either start a free trial or a paid plan using that link, and get access to my training. NEXT – very important – if you do use this link to start a trial or plan, EMAIL ME at hello@merriweathercouncil.com and let me know that you did! In your email, please include your shop name! THEN, I will give you access to the training course! So enjoy this episode, and I can’t wait to help you get set up with your very own Shopify hosted site.